After walking 115km (72 miles) along Spain’s Camino de Santiago pilgrimage route in June, I finally arrived at the end point to the Way of St. James: the city of Santiago de Compostela. Hooray! It was an amazing feeling to look up at the Baroque façade of the cathedral in the Praza do Obradoiro on that gray Sunday morning, but my journey was not finished yet—there were three more days left! 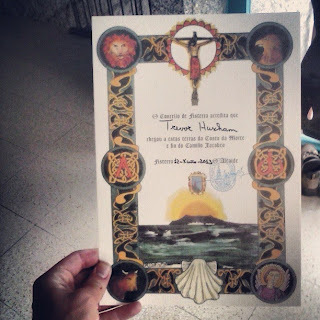 Although my Camino across northwestern Spain formally ended at the cathedral of Compostela, I decided to take the plunge and continue walking 89 more kilometers west, all the way to the ocean. Three long, hard days later, the Atlantic was in my sights. You can think of this pilgrimage to the fishing village of Fisterra (a.k.a. 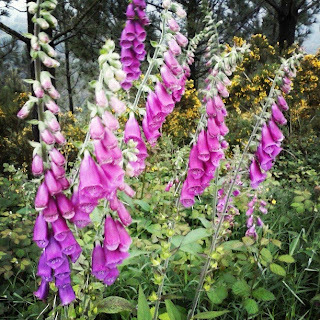 Finisterre) as a coda or a victory lap for the main Camino de Santiago, although there are some important traditions and rituals associated with making your way to the sea. 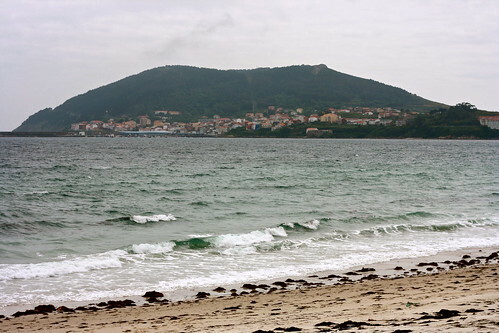 Upon arriving at the beach just past the lighthouse at Cape Finisterre, medieval pilgrims would burn their hiking clothes and stinky boots, bathe in the ocean, and watch the sun set and rise again the next morning (assuming it wasn’t typically rainy and cloudy). Having finished at last this great pilgrimage, they would begin their return journey east. Many believe that, like many Catholic traditions in western Europe, the Fisterra pilgrimage was adopted from earlier customs of the Romans, who believed that Fisterra (< finis terrae) was the “End of the Earth” and had constructed an Altar of the Sun on the cape. Nevertheless, a coastal village to the north called Muxía (pronounced “moo-SHEE-ah” [muˈʃi.a]) also draws pilgrims, both from Santiago and this westerly cape. Many people choose to make a loop out of the hike to Fisterra by circling north to Muxía, where they stop at the Church of Nosa Señora da Barca. Dedicated to “Our Lady of the Boat,” this sacred church sits on the spot where, according to legend, the Virgin Mary appeared to St. James as he evangelized in Galicia. Today, upon completing your hike to Fisterra and Muxía, you can receive little certificates—the fisterrana and the muxíana, respectively, to hang on your wall. The camino francés or “French Way” that I followed for five days from Sarria to Santiago is the dictionary definition of the Beaten Path: I ran into hundreds of fellow pilgrims each morning while walking, I was never for want of places to eat, and I could always count on a dozen or so albergues or pilgrim hostels to choose from at the end of the day. Heading due west from Santiago, however, took me on a much different trail. Perhaps only a tenth of all pilgrims who walk the Camino continue on to the ocean, so the road was basically deserted and there was more time for introspection and appreciating the landscape. The way to Fisterra was also much more rural; on the last day, for example, I went 13km straight without seeing a restaurant or town! A lot of the hike passes through quiet farms and rugged wilderness, a marked change from the route to Santiago that takes you through countless tiny villages in eastern Galicia. The stages that break up the path are also much more rigorous. On the main Camino, the etapas or stages average 20-25km a day, or about five hours of hiking, and if you need to stop early one day there are always albergues scattered between the main beginning and ending points. Not so on the this pilgrimage; although the first day is only 20km, the next two days are 30 or more kilometers and feel like they are never going to end. Really rough stuff—I pulled in to Fisterra grumpy, miserable, and blister-ridden and didn’t even go all the way to the lighthouse. 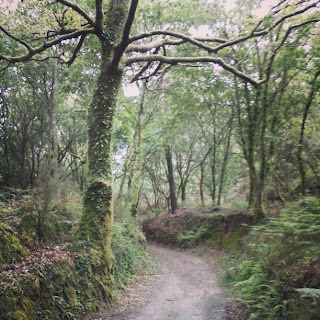 Although my experience hiking the pilgrimage to Fisterra ended up being quite painful on its third and final day, the countryside was unbelievably beautiful. Galicia is (in)famous for its rain, but because of the moisture it gets from the ocean the region is covered in greenery and forests. 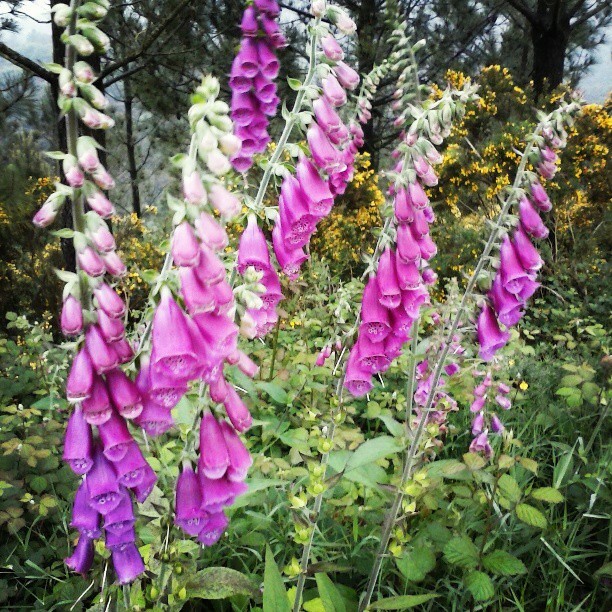 Roadside flowers, foggy croplands, and dramatic mountain ranges all kept me going on those long, slogging 30km-long days. But there were also quite a few instances were the rain would just pound for hours, leaving me completely and utterly soaked. Still, I did enjoy this three-day stroll through an isolated, bleakly-gorgeous part of the country: in the morning I got to commune with nature and in the evenings I lodged in a village or the city. Think of it as backpacking without the, uh, roughing it! If you’re planning on making the pilgrimage to Santiago de Compostela, you should seriously consider adding an extra three or four days to your trip to continue on to the ocean. 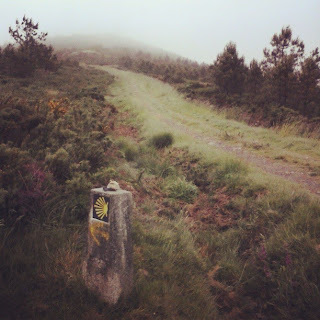 Many of the towns you’ll pass through will undoubtedly be marked (sometimes literally) by the Camino, but the route to Fisterra is an easy way to see non-pilgrim-y Galicia at its rural best. Plus, if you’re looking for hours of quiet solitude (which are hard to get on the crowded camino francés), the isolated path to the sea will give you plenty of time to yourself in the mysterious countryside. 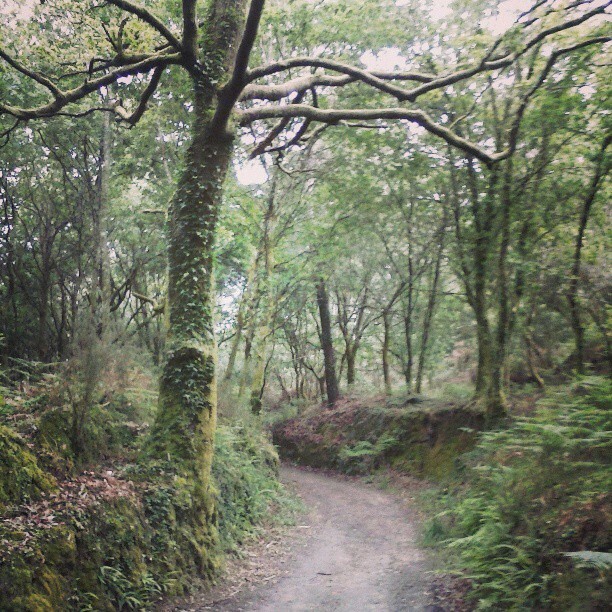 Have you ever walked the Camino to Fisterra, or even been to the Galician coast? Would you consider hiking three more days to the ocean if you ever hiked the Camino de Santiago? Comment below!